If you were a 19th century English noble Lord or Lady, you would be well acquainted with the Herring name. 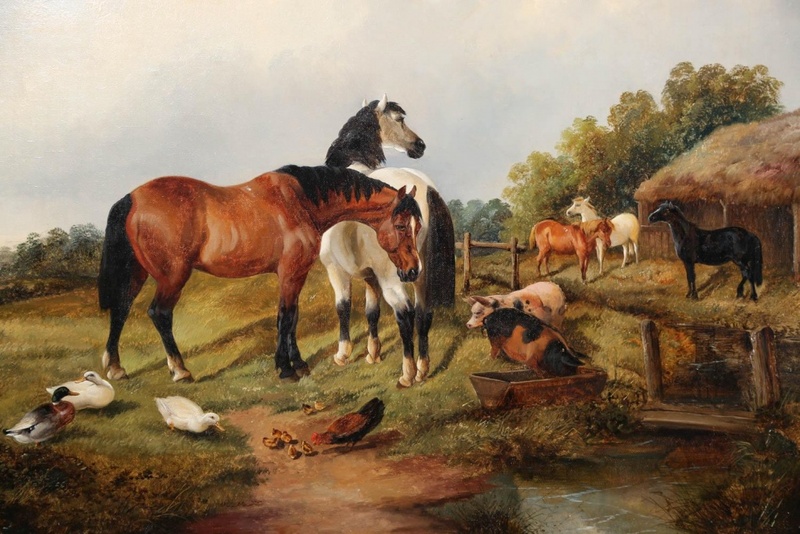 John Frederick Herring Jr., son of the prominent 19th-century painter of horse and sporting scenes, was born in Doncaster, South Yorkshire, England, in 1820. His father worked as a portrait painter of horses and took commissions from such illustrious individuals as the Duc d’Orleans (son of King Louis-Phillipe) in Paris, and Queen Victoria. 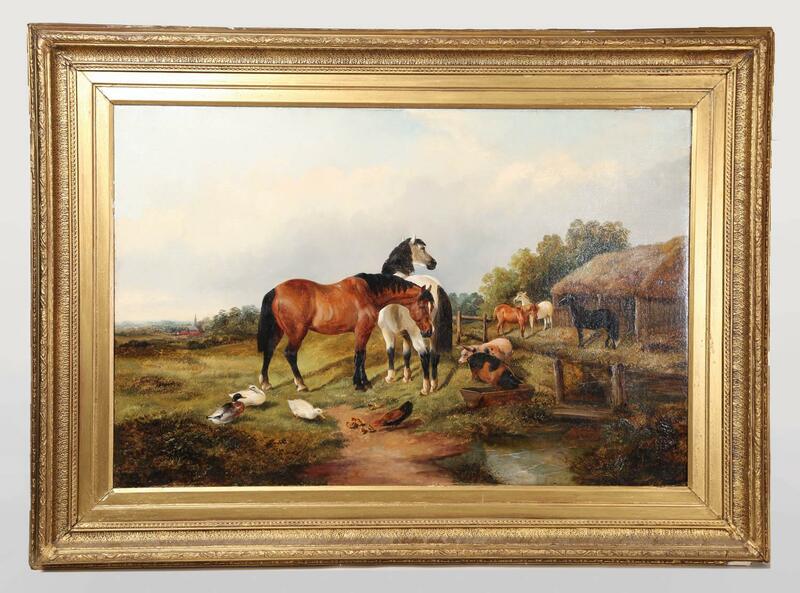 And it was in 1845 that Herring Sr. was appointed Animal Painter to HRH the Duchess of Kent. J.F Herring Sr. fathered four sons and two daughters. Three of Herring Sr’s sons followed in their father’s footsteps and became painters as well and both of his daughters married painters. The most achieved of the sons was J.F. Herring Jr. From a young age, Herring Jr. had a passion for painting and drawing. When J.F. Herring Jr. began painting he did so in the same manner as his father, as his skills improved he began to develop his own unique style. At the young age of 16 Herring Jr. received a boost of confidence, when his father began incorporating SR in his signature on paintings to distinguish between himself and his son. It might also be said that when signing paintings the 16-year-old John Junior was not always as scrupulous as could be desired. As when he was signing paintings, he did so in a manner that was almost indistinguishable from his father's signature. Herring Jr. developed a looser painting style and came to be known for his scenes of horses in a farm or landscape grazing near a beautiful stream often depicted with other animals around them, similar to his father’s painting subject of choice. While he did not achieve the levels of success his father did, J.F. Herring Jr. was a fine painter in his own right and exhibited at many of the major exhibition halls of his day. This painting is a fine example of John Frederick Herring Jr.’s particular style and subject matter and will sell on Tuesday, July 25th, 2017.